What you Need To Know About Job-Related Mental Or Emotional Illnesses And Workers' Compensation? Consult with our best workers compensation lawyers in California at the Koszdin, Fields, Sherry & Katz law firm to find out more. On behalf of Koszdin, Fields, Sherry & Katz posted in Workers Compensation on Friday, June 15, 2018. It might seem absurd to some employers, but California is one of few states in the United States that covers emotional or mental illnesses, or “psychiatric injuries,” as the law refers to them. However, just because you believe that you are suffering from a work-related stress, anxiety, depression or other emotional or mental problems, it does not necessarily mean that you are eligible for workers’ comp benefits. In fact, emotional- and mental-related workers’ compensation claims have the highest probability of denial in California. In order to prevent employees in Los Angeles and elsewhere in California from recovering workers’ compensation by exaggerating the severity of their emotional or mental illness or even faking their illnesses, California has imposed special rules for psychiatric injuries. Today, our Los Angeles workplace illness attorney at the Koszdin, Fields, Sherry & Katz law firm is going to review some of the legal requirements for filing a workers’ compensation claim for emotional or mental injuries or illnesses in California. Your emotional or mental problems may qualify as “psychiatric injuries” under California’s workers’ comp system as long as your job is a predominant cause of the problems (stressful conditions at work, hostile work environment, abusive boss or supervisor, discrimination, harassment, threats, unrealistic deadlines that cause overwork, etc.). If you are unable to perform certain tasks at work or simply cannot focus at work or find it difficult to communicate with your co-workers, customers, or others, your mental or emotional illness may be compensable under the workers’ compensation law. As long as there is a substantial and noticeable effect of your psychiatric problems on your work or personal life, you have a good chance of obtaining workers’ comp benefits for work-related emotional or mental illnesses. 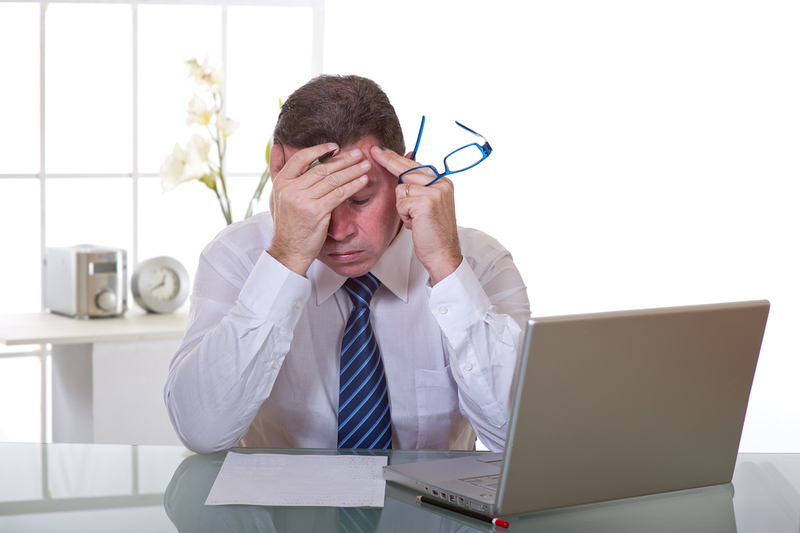 Since it is quite difficult to diagnose employees with emotional or mental problems and establish the link between these illnesses and work (there are very few tests to validate your claim), proving the existence of these illnesses or that it was caused by workplace conditions or factors requires the legal help of an experienced workplace illness attorney in Los Angeles or elsewhere in California. Let’s admit it: it can be quite easy to fake an emotional or mental illness and blame it on work, which is why many employers and their insurance companies are, understandably, skeptical about such claims. That is why you can succeed in your efforts to obtain workers’ comp benefits for job-related mental or emotional illnesses through strong legal representation and compelling medical proof. Needless to say, your emotional or mental illness or disorder must be properly diagnosed under accepted procedures and be verified by qualified medical professionals. You need to prove that your mental or emotional illness requires some kind of medical treatment or that you experienced disability (you cannot perform your job as you once could, you have to miss work, etc.). A rule of thumb is that mental illness-related workers’ compensation benefits are awarded to employees who have worked for their employer for at least six months, unless, of course, the emotional or mental problems were caused by extraordinary and illegal workplace conditions and factors such as harassment, discrimination, hostile work environment, etc. Last but not least, your Los Angeles workplace illness attorney will have to establish that your mental or emotional problems were predominantly caused by your work or work-related conditions and factors. If your emotional or mental disorder or illness was caused by the “actual events of employment,” the standard for recovering workers’ comp benefits is 51 percent. If you, on the other hand, suffered psychiatric injuries as a result of a “significant violent act” at work, the standard is reduced to 35 and 40 percent. Consult with our best workers’ compensation lawyers in California at the Koszdin, Fields, Sherry & Katz law firm to find out more. Let our professionals help you establish the link between your emotional or mental problems and your job. We retain qualified medical doctors to help our clients. Call at 818-812-5639 or (toll free) 800-747-3447 or fill out this contact form for a free case evaluation.